The first of two Snow White themed tales to hit the big screen this year, director Tarsem Singh’s Mirror Mirror is a visually fantastic adventure. 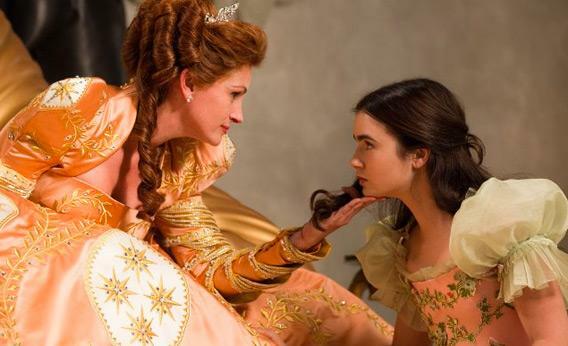 Featuring the talent of Julia Roberts, Lily Collins (The Blind Side), Armie Hammer (The Social Network), and more, Mirror Mirror presents the classic traditional tale of Snow White in a not-so traditional fashion. It is easy to understand why director Singh took issue with the marketing for his film. Portrayed in previews and commercials as nothing more than a silly film geared towards children and loaded with parodies, Mirror Mirror is, in fact, so much more. Staying true to his usual style of visually entrancing and captivating, director Singh brings a tale packed with tons of laughter for all ages. 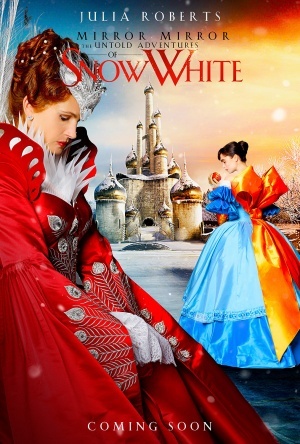 Mirror Mirror contains a fun level of entertainment and wonder to the whimsical world of Snow White. With a few twists and turns on this familiar tale, the new spin that Singh takes with his film keeps it highly entertaining and fun. From renaming the seven dwarfs with names that completely fit their personalities, to an ending that differs far from the Disney version that most are familiar with, Mirror Mirror packs several delightful differences that revive a fun story for a new generation. 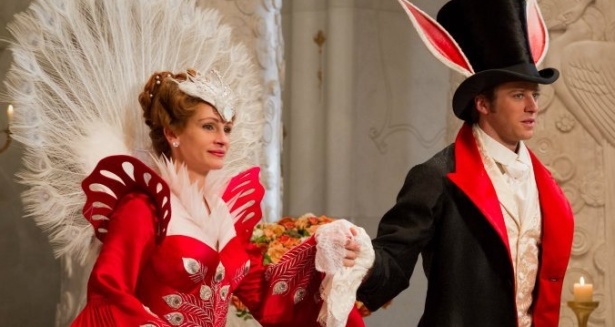 Even with some great performances, such as Julia Roberts’ surprisingly fitting performance as the Evil Queen (She can’t do funny, but she can do evil. ), Mirror Mirror will not reach the levels of popularity of its predecessors but still remains a great addition to the collection of lore. Titled Mirror Mirror there is very little about the famed glass in the film. With little explanation of certain events and situations, Mirror Mirror still puts emphasis on the beauty of the story altogether. A whimsical tale partnered with fantastic visuals and enjoyable characters, Mirror Mirror is full of delight and surprises which make the fable of Snow White a visual pleasure for a whole new generation. While I applaud Tarsem Singh’s imaginative use of his creative license, it lends itself to some “unnecessities.” (Yes, I just now made up that word.) From characters who carry no importance (see Prince Alcott’s travelling companion) to a mirror of very little mention or regard, and such like, the film teases with thoughts of things other than the main story and just leads to inconsequential questions such as “Where’s the dude who’s supposed to come back with the soldiers…and the pants?” “How does the mirror work?” “Why does Julia Roberts’ reflection look all weird and emo’d out?” “Since when was the Queen a voodoo master?” etc. 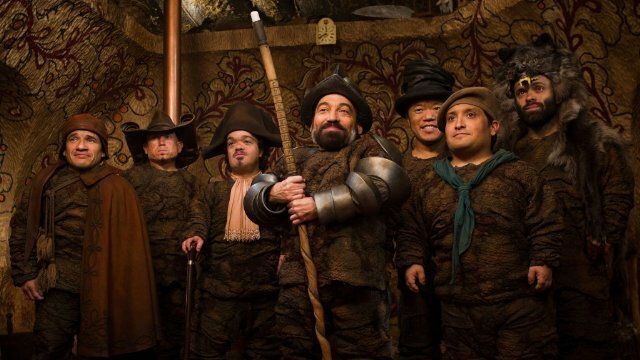 The greatest amount of fun in this re-imagining of Snow White is with the newly named seven dwarfs…by far. Without them in the film, there would be little to no fun, little to no attachment to the story, and little to no excitement. They are much like the minions of Despicable Me. I leave this very unique and visually intriguing film with a very rare score here on my page. I liked it better than Wrath of the Titans, however, it wasn’t as enjoyable as 21 Jump Street and you don’t have to rush out to go see it anytime soon. I will be curious to see how Snow White & the Huntsman fares in June. “packed with tons of laughter” “highly entertaining and fun” I was like, waitaminute, he told me he liked this just a little better than Wrath… whats goin’ on? You brought it in for a landing though T.
Not sure I’m going to give this one a go. Singh’s films might be pretty but that’s not enough to keep me entertained. Think I’ll go for 21 Jump Street instead! Nice review matey. I reckon this will be one film my girls will love this year! haha. Thanks Scott. I hope they enjoy it. Singh definitely stays true to form with his beauty for the eye in this one, but I unexpectedly enjoyed 21 Jump Street SO much more! that’s what i’m hearing, that people are surprised in a good way. i love that. This looks only worth a rental. Weird that w/ a name ‘Mirror, Mirror’ there is nothing memorable about the actual famous glass itself like you said, whilst in the ‘Huntsman’ trailer, the mirror is pretty cool as it melts and forms into a human-like figure. Totally cracking up when u started to point out the things that made no sense. I was wondering why the Prince’s servant never came back with soldiers too. And I agree, with the Dwarfs, the movie would have been a complete dud. hahaha. right? They made a big deal of that conversation so I kept waiting for his return. ??? LOL at your “shame shame stick” hahaha. Thanks for enjoying my review! I think it will take more than renaming the dwarfs to make me go and see it, unless they get renamed Oin, Gloin, Fili, Kili, Thorin etc, but then that’s later in the year! After all the first time I ever remember being terrified in the cinema was when I was very young and the Evil Queen scared the bejesus out of me! oooo! Nice choice of dwarfs! ha! That’s all I gotta say. I’m with u there.